Cowboy stories and movies about the Wild West are full of amazing characters. Yet many of the lawmen we think of as heroes were anything but - some were violent scoundrels and outlaws themselves. Among all the lawmen of the frontier, one man stands out as a true hero: Bass Reeves. In his day, Bass Reeves was the most successful federal marshal in the United States. True to the mythical code of the West, he never drew his gun first. He rounded up hundreds of outlaws and was shot at countless times but was never hit. Bass Reeves was born into slavery. And though the laws of his country enslaved him and his mother, when he became a free man he served the law with such courage and honor that he was known and respected all over the Indian Territory. 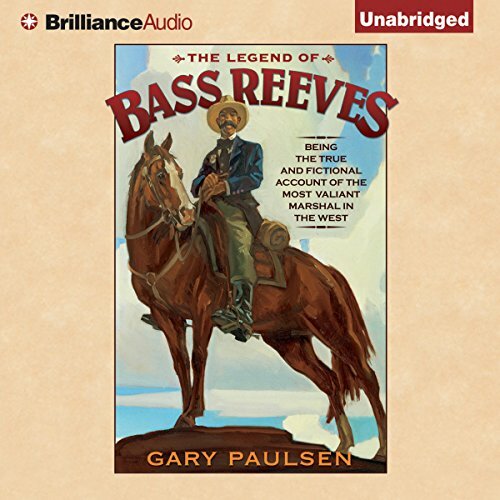 Gary Paulsen's dramatic account of the life of Bass Reeves, through stories both real and imagined, makes him come alive as a boy and a man. Listeners will truly understand why he became a legend.